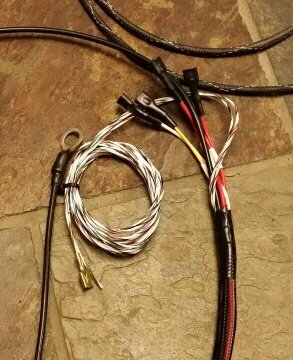 I've designed and built several Mega Squirt harnesses for various Datsun projects. I'm an Electronics Engineering Technologist so I've designed these harnesses for optimal noise immunity with high grade wiring to provide you with a highly reliable backbone for your Mega Squirt EFI system. Electronic noise can cause all sorts of gremlins in your system. To eliminate these issues all harnesses are configured with a robust grounding system as well as shielded cabling for all sensors. The wiring is heat and chemical resistant to provide you with years of trouble free use. EV1 connectors for the injectors use the quick disconnect plugs for ease of installation and removal – no more fighting with wire clips. 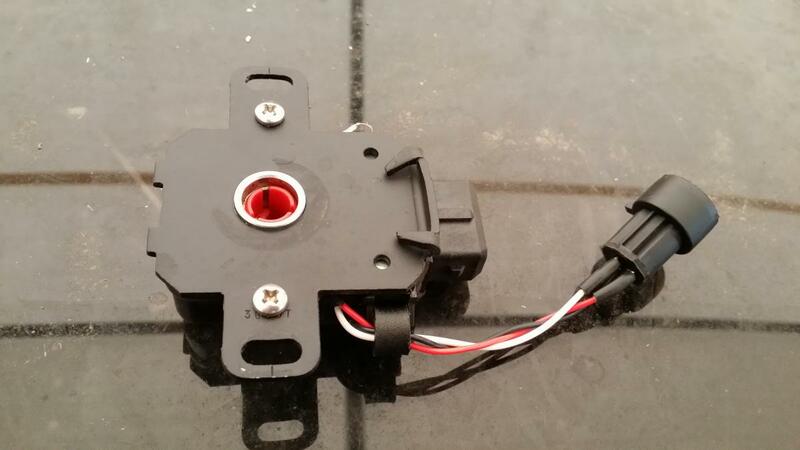 The basic harness is designed to plug into the stock sensors and injectors found on a stock L28ET engine. This includes the injectors, 82-83 dizzy with optical encoder wheel (allows the use of stock or custom encoder wheels), TPS (after market – stock is a throttle position switch – MS requires a throttle position sensor which is a potentiometer rather than a switch), CHTS, Knock sensor (wired to main connector but not hooked up – MS requires extra hardware for the knock sensor), ignition coil, IAT (after market – stock IAT is built into the AFM but should be removed due to air restriction – MS uses a MAP sensor so the AFM is not required) and WBO2 sensor and power. Connectors for the IAT, TPS and WBO2 will vary from installation to installation so the buyer can provide their own connectors for installation during the build of the harness or install them on the prepped associated cabling. Spares can be run for extra power, etc as requested. 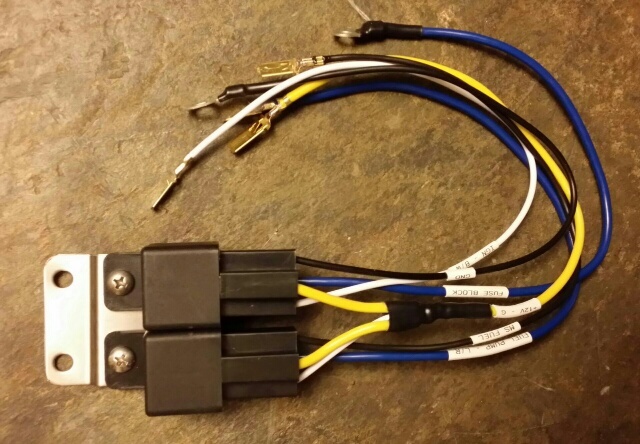 You can add a relay/fuse block assembly to the basic harness. 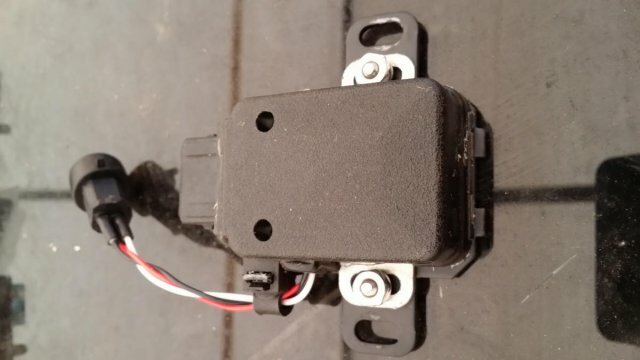 One will provide power for an ignition enabled fuse panel which will provide fused power for the MS ECU, injectors, ignition coil, WBO2 and fuel pump as well as spares for additional power nearby the ECU. The second relay provides ECU control and powers the fuel pump. 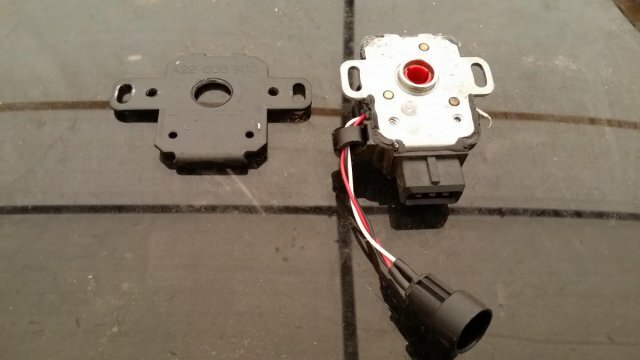 This can be configured to plug directly into the stock body wiring harness on the 280ZX and control the stock fuel pump using the stock fuel pump wiring if requested. This eliminates the optional diyautotune relay and relay harness and gives you addtional fuses for your WBO2 and igntion coil as well as a spare. The assembled relay board and relay board harness is $179. Custom assembly is $150. Optional custom cabling such as COP/CNP distributorless wiring is also available. Typically the connectors will be installed with filter caps in close proximity to the COP/CNP connector to eliminate back EMF from the coil discharge and integrated into the harness. Custom lengths and spacing for connectors can be built to the buyer’s specification. Basic harness is $550. Basic customization is also included in this price. 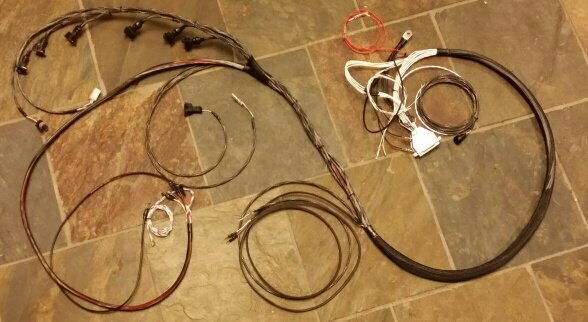 Additional cost for extra sub harnesses such as the COP/CNP is typically about $150. 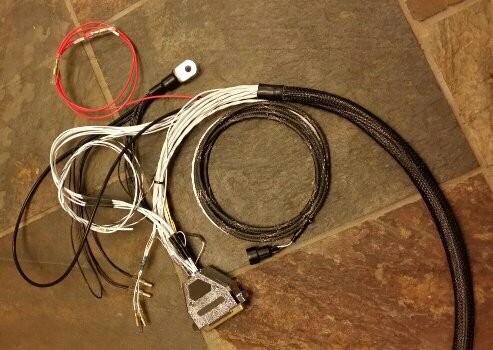 I can also build and test your MS 2/3/3x ECU and load a base tune but this will be limited to my time schedule and number of custom orders. This will allow the buyer to plug in the harness and ECU and get the car up and running (provided the car is mechanically functioning correctly) with minimal fuss. A proper dyno tune is highly recommended for optimal performance. Sign me up for one! Perfect timing; I just got through gutting my son's '72 and have ordered PDK's fiberglass dash... Just set the clutch in the BW T5... . Nothing is being salvaged as far as wiring is concerned. Please tell me this is going to be a long term offer from you. I'll be definitely purchasing one once tax season is here. It should be. I work full time and do this on the side. The response has been very positive and I'll be pretty busy getting the first orders out as promptly as possible. These are quite time consuming but I take pride in my work and I'm not willing to compromise on quality. Hopefully we'll have some before and after pictures in a few weeks once I get the first sets out. +1 on long term. Hope to have one made sometime in 2015. I've had a few clients asking about using a 240SX TPS with their stock 280ZX Throttle body. You can sacrifice the stock 280ZX Throttle Position Switch and use it's back plate as an adapter for the 240SX TPS. You just need to drill some holes and you're good to go. There is a small piece of plastic on the 240SX that needs to be trimmed down so the TPS will sit flush on the adapter. First two orders on their way with the third and fourth to follow shortly Hopefully we can get some installation pictures up for you guys soon. Box of SDS stuff is on the way ! look forward to seeing the finished product! I just picked up my harness from the post office! I can tell you all that the level of craftsmanship and expertise that went into these is phenomenal. The posted pictures do absolutely no justice. Each set of wires is shielded and marked. Each connector is heat shrinked. He even gave me the complementing side of the connectors. It may be a while before I install mine, but I will get some pictures up later! Last of the orders for the initial run going out on Friday. Turns out there is a huge demand and a very positive response on the product so I'll post this as a group buy with this discounted pricing for HybridZ members - Prices elsewhere will be higher. I am interested in a harness for 240z chassis with an LS1 in it. PMed you Kenji but I'm not sure if you ever got it. Absolutely. Let us know what ECU you want to run and if your ITBs have a different offset for the injectors than stock. Send me a PM and we'll go over the details. Posted the same on facebook. High quality doesn't even begin to describe this man's work. Through a series of text conversations, a totally custom harness was designed and built for my project. Unbelievable patience, customer service, and the quality... I've yet to see anything comparable. Masterful work. One of the best investments I've made to date (7 years of ownership). I just realized when I clicked on that link i've contacted you before on usedvictoria! I was looking for the L28et you had for sale with the 260z! Small world, since your so close I may want your services in the future! Very cool! 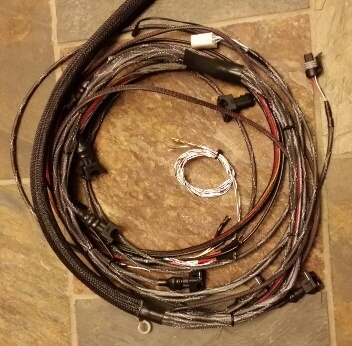 Is there any interest in developing a Megasquirt wiring harness for the Gen-1 Chevrolet small block and big block? This presumably would leave the distributor as a mere connection between the oil pump shaft and the cam-gear, with a block-off plate on the intake manifold. A toothed wheel ahead of the crank-pulley would serve as ignition pickup (or would that still be at the distributor??? ), going to a stand-alone, programmable ignition system. Fuel metering would remain via traditional carburation. This is a carburetor-equipped engine from the 1970s, with a mechanical fuel pump. At present I am not interested in doing a full EFI conversion - especially one that could support a 461 cubic inch engine. However, I'm unimpressed with the timing-control available with a conventional HEI distributor, or with the bandaid measures available for it. I've not heard overly favorable reviews of MSD ignition components - and MSD dominated the mainstream aftermarket for such engines. Thus the curiosity about unorthodox alternatives. I'm from the pre-computer-literate, knuckle-dragging generation. Absolutely it's something that could be done of course. You would need some sort of cam sensor if you want to run full sequential spark. 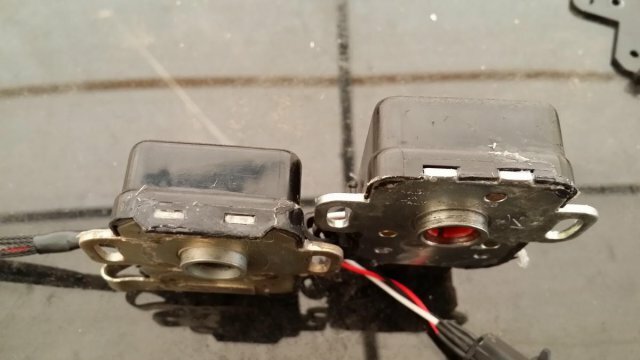 If you are happy running a wasted spark setup you just need a crank sensor for spark timing. You will have complete control over the timing and make whatever curve best suits your engine. The nice thing is that you can always upgrade down the road to injectors of you want to add that. I recomend running an LS coil of some sort as they have a very hot spark and the ignition driver is built into the coil.